The Gravity Forms Populate Anything Early Access Beta has arrived (whew, that’s a mouthful)! Here’s a quick demo video showcasing the very tip of this powerful perk’s functionality iceberg. Official documentation and public beta is coming soon. If you’d like to get in on the early access beta, drop us a line. Fixed issue where multiple “other” choices were added when including multiple instances of the same child form. 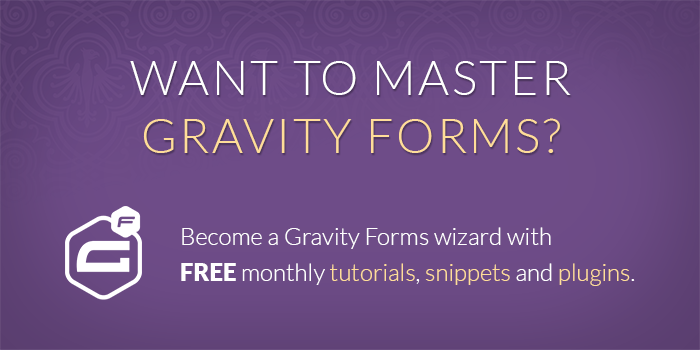 Hi Ashely, Gravity Forms Populate Anything is available to Gravity Perks customers by request. Where can I find out more about this populate anything perk? Thanks, Dale. G’Wiz! really appreciate the simplicity this brings, to (some very sophisticated, but intuitively basic) user requirements, and really opens the user to OO concepts of the architecture in the way the queries are set out. Loving the consolidation of features / feature-requests here…definitely looking like a more involved solution than other Perks; I’m going to stay tuned to this. Thankyou for taking the time (and littler pieces) required to integrate and innovate like this – it shows a great mastery of the interaction and structure of WP, and of the user experience/expectation coming through from other apps.